would be better fitted as one of your cards. Good first try at a card, though, since most non-professional or expert people make WAY worse cards. 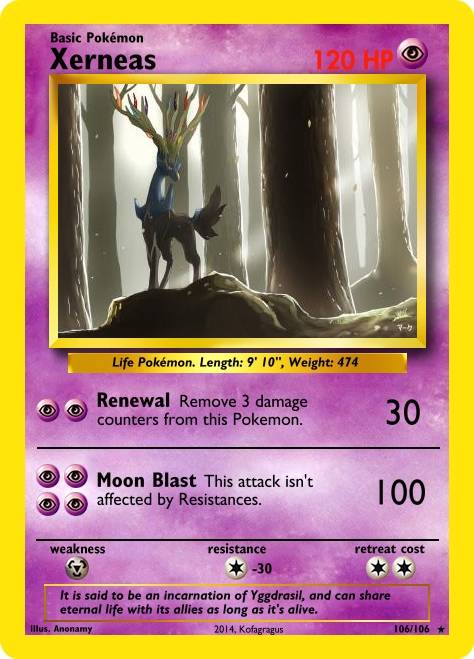 It was supposed to be Xerneas's game ability and one of its STAB moves in there. Note that I don't play the CCG, but might as well take a shot at it, given whatever I know about the game from top of head.